If you want to be a better communicator, start by being a better listener. WIT@Work workshops can help your team become better at hearing the full message – not just the words, but the full content of what colleagues and clients are conveying. 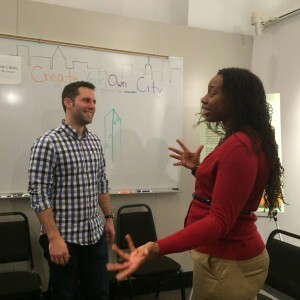 Improv principles and exercises help participants learn to be more fully present and engaged listeners. That includes using these skills in high stakes, high stress environments, where they’re needed most. 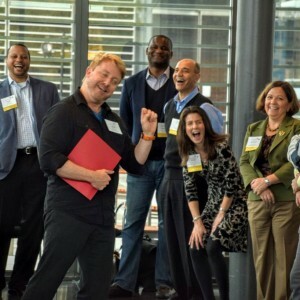 WIT@Work’s improv-based workshops help participants communicate in the real-world situations that matter (and flummox communicators) the most. Odds are, you spend most of your work day speaking without a script. You and your team are already improvising every day, and WIT@Work can help you be great improvisers. WIT@Work workshops helps lift the skills and tools that actors draw on for the stage and take them into the boardroom, the courtroom, and wherever effective communication is vital. Participants learn to speak more openly and authentically, and to harness the power of storytelling and narrative to shape and strengthen their message. We can work with you to design trainings that let your client-facing team members rehearse and refine how they engage with your clients. 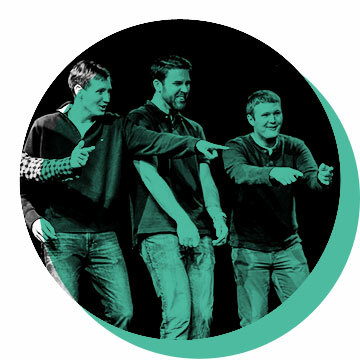 Washington Improv Theater is one of the largest improv training centers in the United States and has been leading applied improv training for 15 years. WIT@Work has a phenomenal team of trainers, and our WIT@Work Director holds a Ph.D, and has over a decade of experience designing, delivering, and overseeing professional trainings. Communication is a core component of legal work in the courtroom, with clients, and within legal teams.With that in mind, we have worked with a wide range of law firms (e.g. McDermott Will & Emery; Kelly Drye & Warren), with every level legal professional, from partners working to generate new business, to mid-level associates working on career advancement and cross-firm collaboration, to summer associates having a compelling and engaging first connecting with the firm. Communication is a core-competency across the disciplines and throughout the educational experience. Toward that, WIT@Work has designed and led applied improv workshops for college groups ranging from large incoming freshman classes to graduate MBA cohorts. We also have regularly led classes in teacher (k-12) and university faculty development. Our clients have included George Washington University, George Mason University, and Sidwell Friends.